There are millions of South Africans who have to pay rent for a home or a flat, in order to have a roof over their heads. Nowadays, due to the economical climate, it is almost impossible to get the money for a down payment of a house or apartment. There is definitely an option for you if you ever want to own your own house or apartment. By applying for a Rent-to-own deal you will be able to own your own house one day. 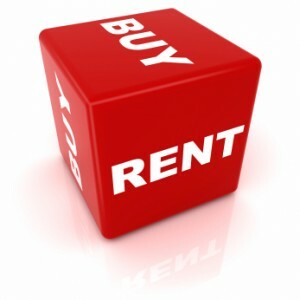 In this article I will briefly explain how rent-to-own works and how you will be able to stay in your own house one day. Rent-to-own is actually a very simple concept. This gives you the chance to pay rent as normal, for a specific amount of time. After the agreed time of paying rent, you will be considered the owner of the house of apartment that you have rented. What nice about this option, it also gives you the freedom to back out of the deal, when ever you want and it wont affect your credit rating at all. This is possible because you will be treated as if you were involved in a normal rental agreement. That is why this option is getting very popular in South Africa. There are numerous benefits from a rent-to-own scheme. The first benefit is that you don’t have to be able to qualify for a normal home loan. This means that you don’t have to have a big amount of money to put down as a down payment for the loan. We all know how difficult it is to save money nowadays. If you are already in a rent situation, then there is no reason for you not to switch over to a rent-to-own deal. A person who has a bad credit rating is also very attracted to this type of option. A rent-to-own scheme will only see if you will be able to cover the monthly “rent” payments, like any other rent contract with your monthly salary. And like any other rent contract, you will be able to back out of the contract if you are not able to continue with the payments. This option has been a life-savour for many people with low credit ratings. This option can be very beneficial to the seller as well. You constantly hear from home owners that the people who are renting from them are messing the property up, and they need to spend a lot of money to repair the home or apartment. If you are someone who is renting the home to own it one day, then you would like to keep the place in a good condition, and if you don’t, then it’s not the landlord’s problem. You will then be entitled to maintain the property. It is thus clear that there are options available for the less fortunate. Contact your local real estate agent to query the option. It is maybe the only option for you to stay in your own house one day.